Two important components of a successful chelation therapy program are diet and exercise. Here are some pointers of what your diet should consist of and what exercise to undertake when you are on an EDTA Chelation Therapy course. These elements are often over looked or not taken seriously enough during or after the chelation process. A balanced diet and moderate exercise will increase your circulation and augment the Chelation process. By removing the unwanted build up metals and minerals in your body, the circulatory system becomes rejuvenated, it is important to keep and promote a healthy circulation system to and guard against any future damage. 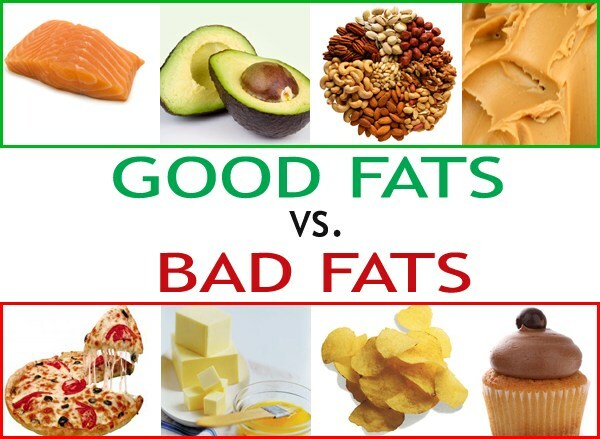 Fats, there are ‘good fats’ and there are ‘bad fats’. The goal in controlling fat intake during or after chelation is reducing your total fat intake to 20% of you total daily caloric intake. Having this percentage in good fat, both monounsaturated and polyunsaturated, is ideal. An example is to substitute an olive oil for other cooking fats. Avoiding fat on both red and white meat and eliminating the skin on chicken and other poultry can also be a good way to cut out saturated ‘bad’ fats from your diet. Incorporating fish, lean red meats and skinless white meat can be beneficial for a healthy chelation diet and in moderation Fats are essential to a healthy diet, when in the ‘good’ form. Sugars and Carbohydrates can be incorporated into the diet but in unrefined forms, so substitute white rice, bread and pasta with brown rice and whole grain pastas and breads. The whole grain forms of carbohydrates are a good source of fiber and is known to help lower cholesterol levels in the intestines. Whole grain forms of foods are also great sources of vitamins and minerals. These essential nutrients are removed in the refined source of carbohydrates, vegetables, fruit, beans and nuts are great sources of complex carbohydrates and should be eaten with whole grain breads. Some examples of good diet foods that are high in fiber (cholesterol-lowering), are cabbage, broccoli, bananas, blueberries, blackberries, raspberries, apples, prunes, lentils, celery, carrots, potatoes, green beans and bean-sprouts. Protein and Eggs are usually considered to have a high amount of fat or cholesterol however when consumed moderately in the right form they can be of little danger in elevating the levels of ‘bad’ cholesterol. Eggs eaten in moderation, say 4 to 5 per week is considered to be of no danger to most people. Protein can come from fish and skinless poultry and in non animal form it can be from unsalted nuts, grains and beans. Ideally the vegetable forms of protein are generally considered to be best for the heart, and animal forms should be eaten in moderation. Salt is one area that participants should avoid or at the very least drastically reduce it both in a chelation diet and normal diet plans. Cardio Renew is a sodium based supplement and excessive salt intake in accordance to the program can increase blood pressure so limit salt intake and avoid the additional use of table salt at the dinner table. Alcohol and Coffee intake should be limited as part of the diet. Drink alcohol in moderation, having 1 or 2 glasses of red wine or a pint of beer a day has actually been known to improve cardiovascular functions, on the other hand alcohol has been proven to have negative effects on the liver and its no secret that excessive amounts of alcohol can be detrimental to your health. Coffee should be rank in extreme moderation, coffee’s high levels of caffeine have been known to raise cholesterol levels. Exercise is known to play a major role in a healthy lifestyle and is something that should be a part of your daily routine. Aerobic exercise is something that should be a part of a healthy daily routine. Whether it is gardening, walking or cleaning, elevating your heart rate for over 20 minutes a day is a good beginning for increasing your aerobic exercise capacity, by elevating your heart rate and using your muscles for 20 minutes each day you will make your body more efficient in the way it burns calories and increase oxygen to muscles in your body. This in turn benefits the cardiovascular and respiratory systems. Exercise is actually considered to be a natural method of mild chelation therapy as muscles produce lactic acid which circulates throughout the body chelating metals and other unwanted substances during exercise. You should always consult with your Doctor about starting a diet or exercise regime for his advice and safety guidelines.